IVAN MAUGER, speedway's greatest-ever rider, died at his home on Australia's Gold Coast at around 4.00am on Monday, April 16. He was 78. Backtrack's Martin Rogers, Ivan's friend, neighbour and ghost writer, led the flood of tributes to the most decorated rider in the sport's history . . . IT'S not easy to find anything new to say about Ivan Mauger. 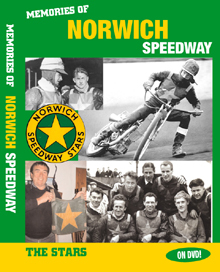 The record books tell their own story of how Speedway's Man of the Millennium gathered up titles and accolades in what many fans fondly think of as the sport's golden time. But it's a big ask to successfully convey to people today just how big a deal he was. To recall the heady days of the early pioneers or even the post-war returnees, you would need to be of a certain age. For more recent and still-engaged followers of the sport, the years after the formation of the British League in 1965 signalled a sustained period of enthusiastic support and public interest almost unimaginable today. Ivan was front and centre in all of that. For a couple of decades he was as recognisable and predictably successful as any before or since. He rounded up and passed the likes of Ove Fundin and Barry Briggs, he resisted and outperformed contemporaries Ole Olsen, Peter Collins and Anders Michanek. Blame him or credit him, he set the new benchmark for professionalism in the 70s, and it's his steely-eyed determination to prevail for which he will be most remembered. All supreme stars also have their detractors but Ivan was sage and savvy before his time. He understood the whims of the public, the priorities of promoters, and at the end of it all was content to let his winning ways do the talking. There were occasions he gave the impression of preferring to be somewhere else. It fooled nobody. He lived for the sport and its many challenges, embraced the lifestyle and celebrity it brought, and maintained a keen stake in its further development long after his racing days were done. While his pursuit of the greatest prizes was voracious, Ivan's interest in and encouragement of others owed much to the fact that he began with nothing. The teenage struggles he endured at first not only helped shape the man, but ensured he remained mindful of the other guy's situation. Countless people had cause to be grateful for his usually unheralded support. So many people have their own personal or professional connections with Ivan, and I'm fortunate not only to have had both, but to be encouraged by the editor to share a few. We've been neighbours on the Gold Coast for 30 years, and in fact, like many others around the world, Lin and I owe Ivan a considerable debt. He didn't have to do it, but he went out of his way to support our application to come to Australia, and then to show us the ropes when we arrived. We have seen more of him than most in modern times, always made welcome on various family occasions. I spent 12 months helping him pen 160,000 words and later promote his autobiography The Will To Win. More recently we have been privileged to share a small part of his later years. On the speedway front I witnessed his six World Final wins, and dealt with him on a journalistic and promoting basis over most of his storied and meticulously organised career. A few years ago I took him to a cricket Test for the first time, and it was a source of amusement how quickly he picked up on the game's nuances and became an instant expert. He savoured the sporting life, having played just about everything as a boy, and, as New Zealanders tend to do, he was a dyed-in-the-wool rugby union fan. His cousins Aaron and Nathan both played for the All Blacks. Even if a stone face disguised the fact, he loved speedway. He didn't always feel the love in return, he wasn't the most popular World Champion, but he was the most respected, invariably the man most likely and, ultimately. the highest-achieving rider speedway has seen. 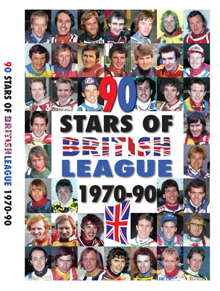 Our full tributes to Ivan will appear in the next editions of both Backtrack and Classic Speedway.